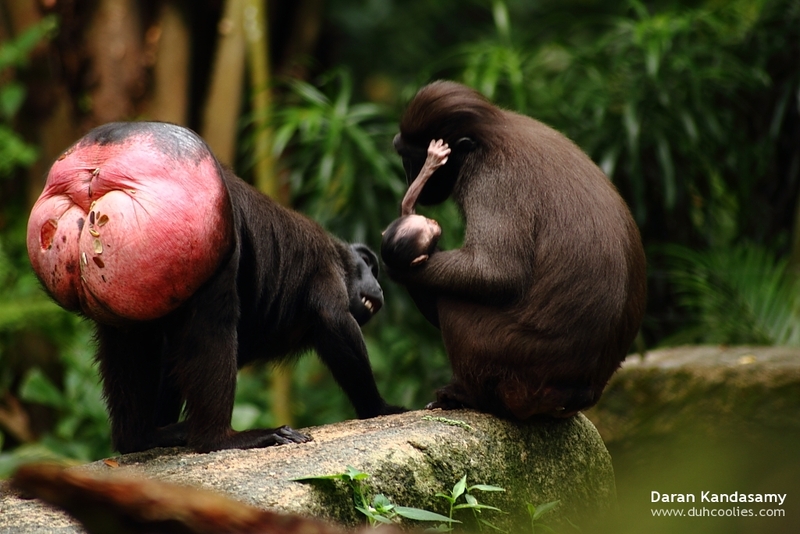 Celebes Crested Macaques are real swingers. We mean that in both the literal and figurative sense. This monkey lives only in the forests of the northeast portion of Sulawesi plus other tiny neighboring islands in Indonesia where we’re pretty sure they all know each other. Despite the population density, they’re very promiscuous: males and females mate various times with various partners. 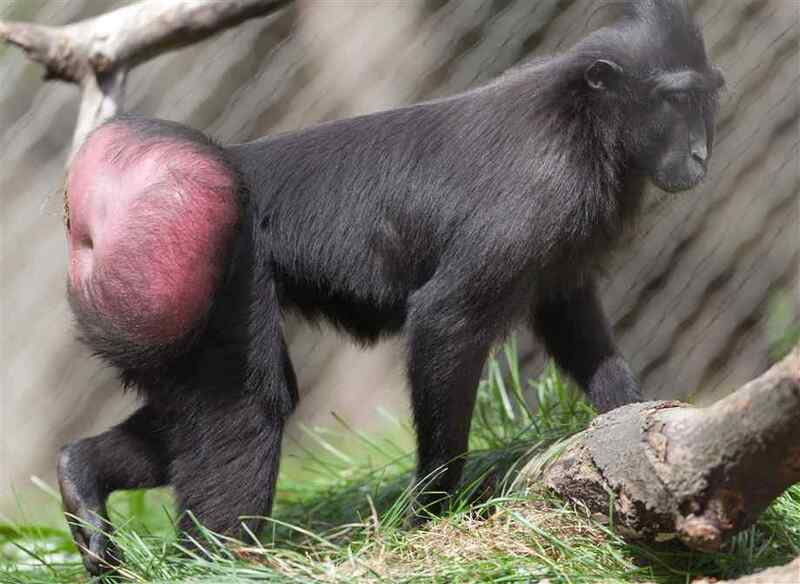 When the female is in heat, her buttocks turn red and swell to an anatomically disproportionate volume. This makes for an exemplary creepy animal. Should I get a doctor to look at this??!! This is a whole new level of easiness haha, come on ladies have a little mystery!